Family Literacy Day is right around the corner -- next Tuesday -- January 27, 2015! 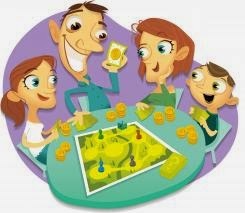 Mark the date on your calendar and brainstorm fun things to do as a family! Write a joke book with your family. Read a bedtime story to the grown-up putting you to bed. Organize a book swap at your school. Make up riddles and tell them to your friends. Create a family book club. Build a drum with your family. Surf the Internet and learn about your favourite animal. Make up a song about your day to sing to your family at dinnertime. Write messages to your family on sticky notes and post them around the house. Create a story about what you’ll be doing for Family Literacy Day. Build an acrostic poem using your hero’s name. Make an origami boat and see if it will float. If you have some great ideas for making learning (and literacy) fun -- feel free to add them in the comments! I love the idea of a book swap at school! I'm a librarian, what can I say? kristiedonelson(at)gmail(dot)com Thank you. Kristie, A book swap is a great idea! A "new" book is always a treasure -- whether it's second hand or brand new! These are great ideas! I'm a HUGE advocate of reading with your kids from a very young age--it can help in SO many ways when they get older! I agree! The first novel I read to my daughter was when she was 4 (and I read other books to her from babyhood up!) Now she's 11 and writes her own stories allll the time!